Child birth is an extraordinarily complex process that requires medical professionals to monitor and maintain a delicate balance through every phase. For example, ensuring the appropriate oxygen supply to the child is essential, as the baby’s brain and body need a continuous supply to maintain proper function. Within 15 seconds, lack of oxygen leads to loss of consciousness, while brain damage begins if the brain is deprived of oxygen for approximately 4 minutes, and the child may be deemed “brain dead” after 6 minutes without oxygen. 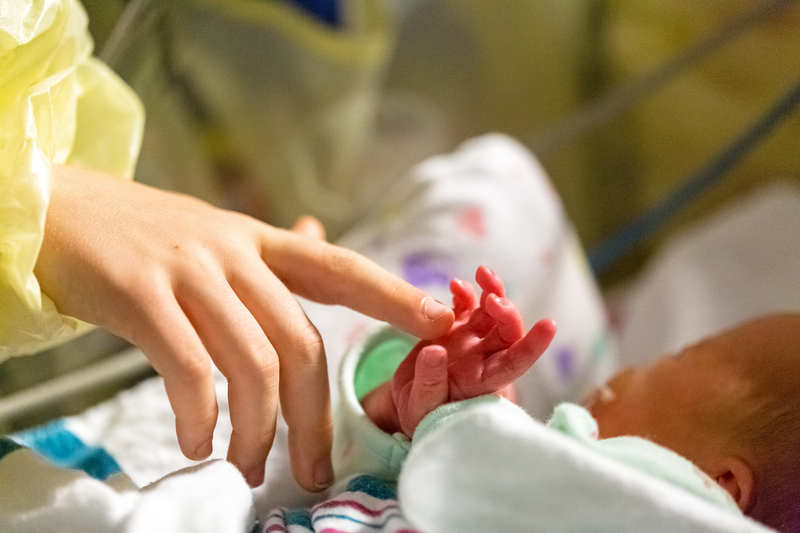 Common birth injuries involving lack of oxygen are known as brain anoxia and brain hypoxia, each of which can result in a host of severe consequences, including brain damage, Cerebral Palsy, paralysis, and other neurological impairments, if not death. Fortunately, medical advancements have made it increasingly possible to identify hypoxia and to respond with appropriate measures to avoid permanent brain injury. However, instances of medical malpractice can allow threats to oxygen supply to persist, causing devastating, permanent consequences. If the medical negligence of healthcare providers has detrimentally affected your child’s health, or even threatened his or her life, the law provides you with a mechanism through which to hold these practitioners accountable. At Fronzuto Law Group, our extensive knowledge and resources informs the most sophisticated strategies for achieving maximum compensation for our clients. For instance, in a recent case, we recovered $3,825,000.00 on behalf of an 18-month-old child who sustained an anoxic brain injury after a physician failed to diagnose and treat newborn respiratory distress syndrome. To discuss your available legal options with a member of our highly specialized team, contact our offices anytime at 973-435-4551, reach us toll free at 888-409-0816, or contact us online to schedule your free initial consultation. Anoxia, or anoxic brain injury, also referred to as “cerebral anoxia,” is a term used to describe the complete deprivation of oxygen to the brain, which typically results in some form of permanent brain damage. On the other hand, hypoxia or hypoxic brain injury, refers to an inadequate supply of oxygen being delivered to the brain. The damage resulting from hypoxic brain injury is highly variable, determined primarily by the length of time and extent to which the brain is deprived of adequate oxygen. If undetected and left untreated, hypoxia can develop into anoxia, with increasingly severe repercussions. If your child was deprived of oxygen during delivery, he or she should be immediately tested for anoxic or hypoxic brain injury. Magnetic resonance imaging (MRI) is often used to detect these injuries; however, it is important to remain cognizant of the signs and symptoms of brain injury in the months and years following your child’s birth. These symptoms may include: extreme fatigue, sleeping disorders, sensitivity to light or sound, vision problems, paralysis, tremors, weakened limbs, spatial disorientation, or seizures. If you suspect that medical negligence may have contributed to your child’s injuries, contact Fronzuto Law Group to learn more about the legal options that may be available to you. Our highly knowledgeable birth injury lawyers will answer and address all of your questions and concerns during a cost-free initial consultation. Reach our offices anytime at 973-435-4551 or contact us online.